I guess you're wondering based on my title post, why on earth is Ava blogging about toilets or did her lifestyle blog just made an instantaneous shift into a toiletry-hygiene kinda type? Do you agree that one of the dirtiest part of house, mall and gas stations would have to be the bathroom? But did you know that there are about 2 million bacteria per inch that can be found there and yet over 90% of local households are unaware of proper toilet hygiene? Aside from that, It's quite obvious that germs can live in there and it can spread rapidly and make you sick if you don't have the proper sanitation. It's easy to keep things clean with bleach or soap, but those will only clean the surface. They cannot provide germ-killing agents and total disinfection. Reason why a lot of people, especially children get illnesses such as influenza, diarrhea, and hepatitis. These can instantly kill people. 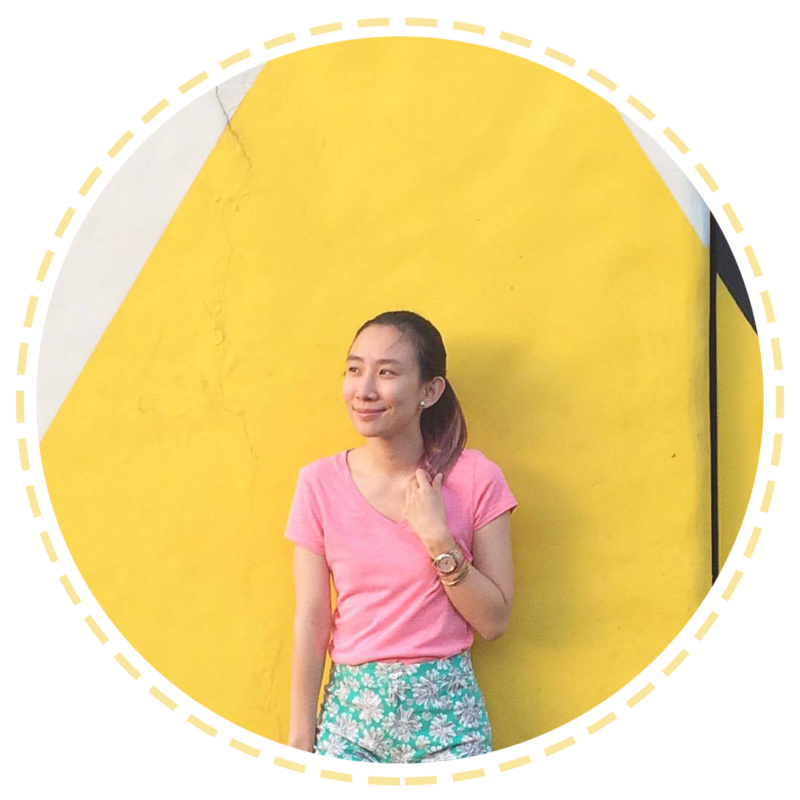 Together with proper hand washing (click here to see entry) and the understanding of proper bathroom sanitation can actually combat the prevalence of these life-threatening diseases. Which brings Unilever to address this cause through their Sustainable Living Plan (USLP) and have the One Million Clean Toilets movement. With this they have UNICEF, the Philippine Public Health Association, the City of Manila and Pilipinas Shell to help them increase awareness. Imagine how simple acts such as good hygiene can improve millions of lives around the world. It would secure a brighter future for everyone. It helps to be educated about these things. So why wait, right? We should starting acting now! The objective of this campaign is to collect a total of one million pledges from private households to conscientiously maintain their own clean, safe, and hygienic bathrooms by the next world Toilet Day in November 2014. Today, I take part in this amazing cause by pledging to save lives one toilet at a time and it will start at my own home. You too can pledge to support the One Million Clean Toilets Movement via the Domex Philippines FB page: Facebook.com/DomexPhilippines. 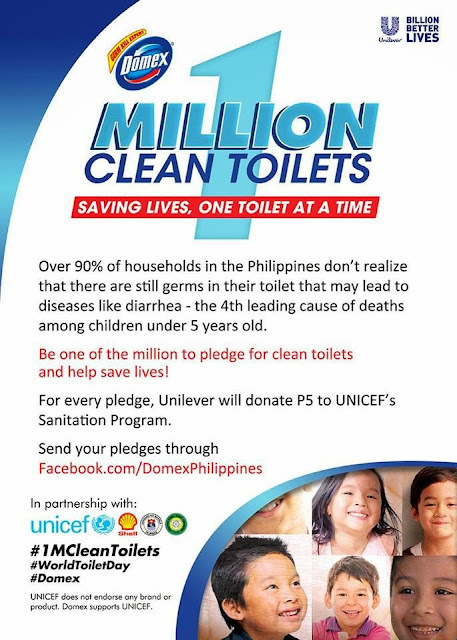 In line with this, Domex will donate Php 5 to UNICEF's Sanitation Program for every pledge received. This will contribute a great deal to the global fund in improving access to basic sanitation areas of need all over the world. So, what are you waiting for? :) Pledge right this very minute to save lives!